American Anti-Cancer Institute (AACI) is a tax-exempt organization founded in 2008 by Robert G. Wright, purportedly to educate people about the "real truth about cancer". Wright is also the author of the 2011 book entitled making a killing from people with cancer "Killing Cancer - Not People". The American Anti-Cancer Institute has a similar format to Cancer Control Society and Cancer Tutor: “cancer whisperer” Mr Wright informs people about alternative cancer treatments, free of charge, however he receives five-figure tax-free donations from the quacks he refers his clients to. The AACI advisory-board includes arch-quack Dr Leonard Coldwell and chiropractor Dr. Veronique Desaulniers,, and did include cancer-counselor Bill Henderson who has since died of cancer. The American Anti-Cancer Institute website. (Try to find Mr Wright's "alkaline fruits" on this list, i.e. those with a pH of above 7). AACI did trademark "PrimaNeuvera": their own-brand "botanical" treatment for people with cancer. Video of Mr Wright claiming "Prima Neuvera" has caused "thousands" of cancer sufferers to have "permanent remission". A Google-search for the name of doctor who is the vice-president of the AACI only yields one result. Video of Mr Wright recommending Protandim, which the FDA describes as an "unproven and potentially unsafe product". The American Anti-Cancer Institute promote the infamous Dr Stanisław Burzynski, (whose clinic is in Texas). 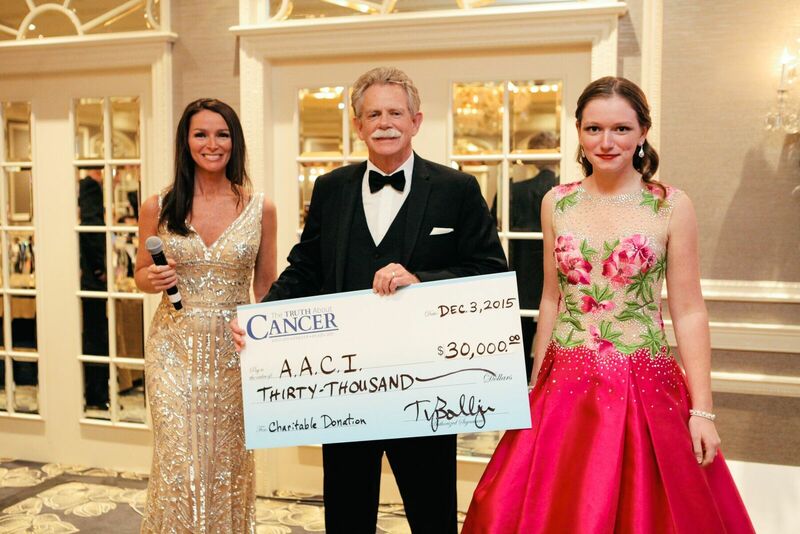 The AACI describes the Mexican "Hope4Cancer" clinic as "one of the best". A record of the past income of the American Anti-Cancer Institute. Chris "beat-cancer" Wark says he supports the American Anti-Cancer Institute, (in a YouTube which has had >500K views). Natural News reports AACI had agreed to participate in what turned out to be a fraudulent fundraiser. ↑ An archive copy of Mr Wright's profile on the AACI website. ↑ AACI's Mr Wright promoted by Cancer Control Society. ↑ AACI promotes the "Cancer Tutor" website. ↑ The AACI did own the URL "TheCancerWhisperer". ↑ Mr Wright receiving a $30K donation from Ty Bollinger. ↑ Total revenue of AACI in 2015 was over $110K. ↑ An archive copy of Leonard Coldwell's profile on the AACI website. ↑ An archive copy of Veronique Desaulniers's profile on the AACI website. ↑ Archived tweet from "Dr V" promoting Amega "magic" wands. ↑ Bill Henderson was on the AACI advisory board in 2014. ↑ Bill Henderson died of cancer in 2016. This page was last modified on 23 August 2018, at 19:32.